Ingredient Confusion: Chipolata Cake? …you are kidding, aren’t you? 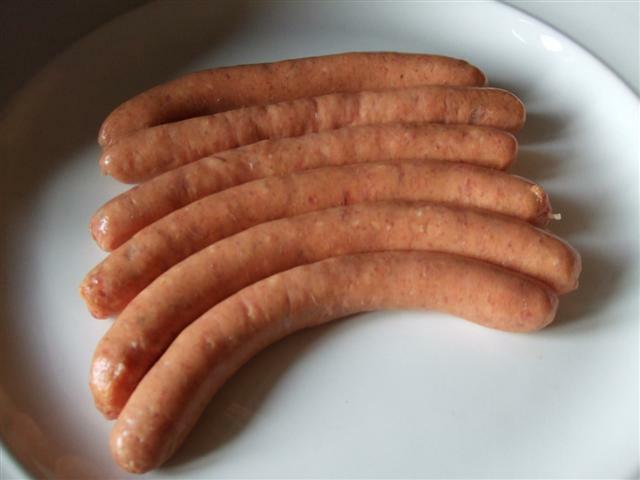 When I’m sitting with my New Zealand family and someone mentions that they need to remember to bring chipolata’s to a BBQ pot-luck or meal, then it’s taken as fact that they will be bringing sasuages, to be more specific: long slender sasuages that BBQ or fry up rather nicely and are very popular with adults and children alike. 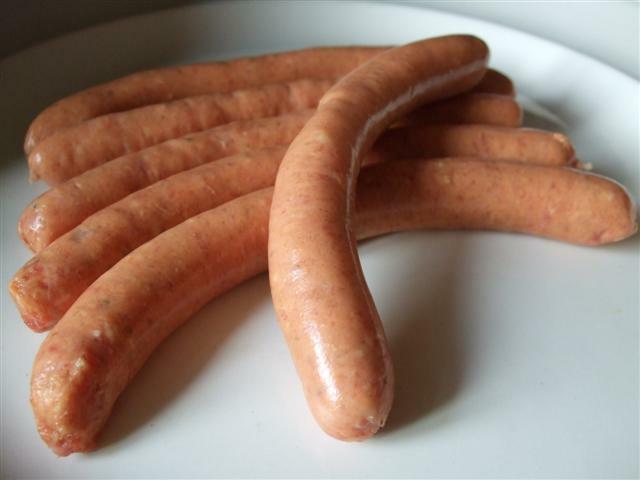 These sausages are well known all over the world so how on earth can there be any confusion at all? Hummm.. all I have to do to produce ingredient confusion here, is to tell people that I’m bringing Chipolata Cake or Chipolata Pudding to the family feast. Ugh… a cake or pudding with sasuages in it? surely not! That doesn’t even begin to sound appetizing in any way shape or form. Luckily one section of my family would not have batted an eyelid… Why? because they know that fortunately there is a tastier explanation. They know that the Chipolata Pudding and Chipolata Cake available in The Netherlands has absolutely nothing to do with sausages! So, Chipolata Cake.. I kid you not ! 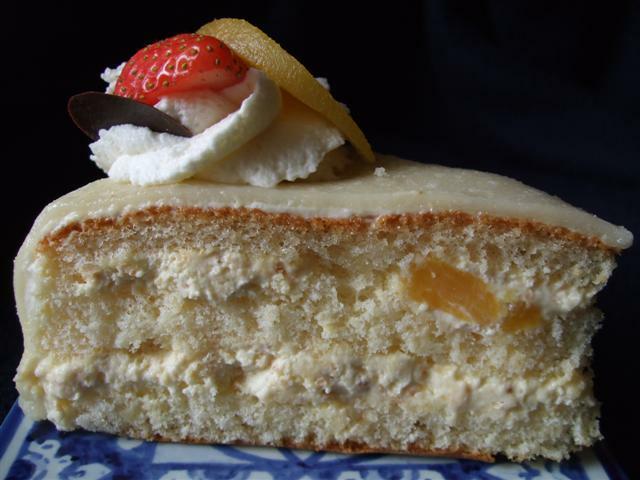 In the Netherlands, Chipolata Cake is a layered sponge with fruit and cream, topped with icing and available at many a Birthday Party. 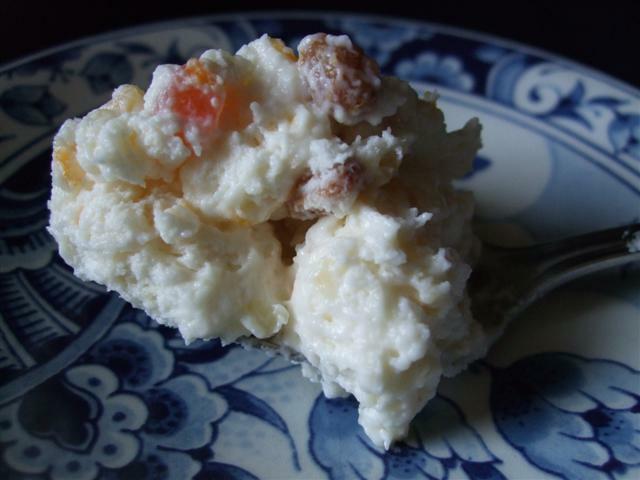 Chipolata Pudding is a very old and traditional pudding, again with fruit (raisins) and a creamy foamy texture. Me. I like the cake and am not too fussed on the pudding, Himself on the other hand, likes the pudding better than the cake. 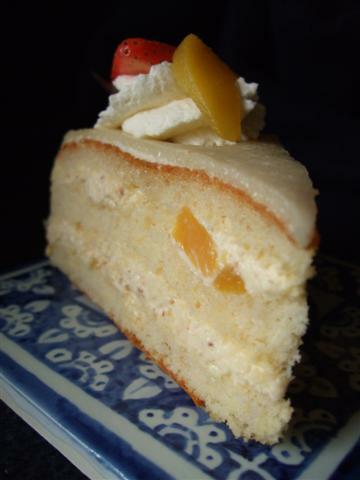 I have a copy of the recipe courtesy of a Baker’s Forum ( in the Dutch language only) and I’ve “parked” the recipe here so that I can find it back if I want to make this later when I’m in New Zealand. If anyone else would like to make it in the meantime, and needs it in english, please just post a comment and I’ll make a translation. 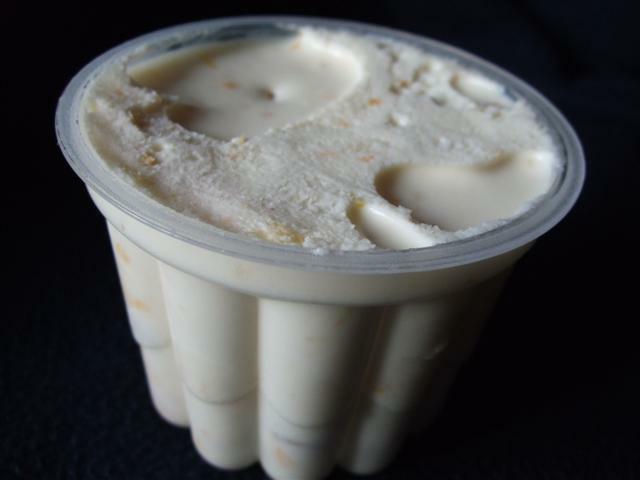 De bloem met een klein deel van de melk,suiker,vanille en eidooiers roeren tot een glad papje en dit zachtjes en roerend gaar koken in de rest van de melk. Laat deze room goed afkoelen en stuif er wat poedersuiker over(dit voorkomt een vel) deze bb room, liefst een dag tevoren maken. Klop een 1/4 ltr.slagroom met 35gr.suiker luchtig en spatel deze door de even losgeroerde bb room en een scheut marasquinkikeur. 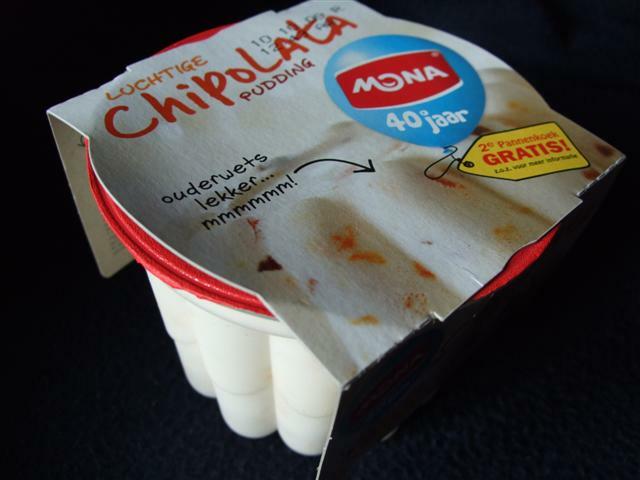 En spatel er dan stukjes in marasquin gedrenkte bitterkoekjes en wat rozijnen ook geweld in likeur. Voor de kleur kun je er nog wat in stukjes gehakte geconfijte/gekleurde kersen(bigarreaux)door doen en wat gehakte sinassnippers. Let the custard cool down and add a little bit of icing sugar (this prevents skin on the custard). 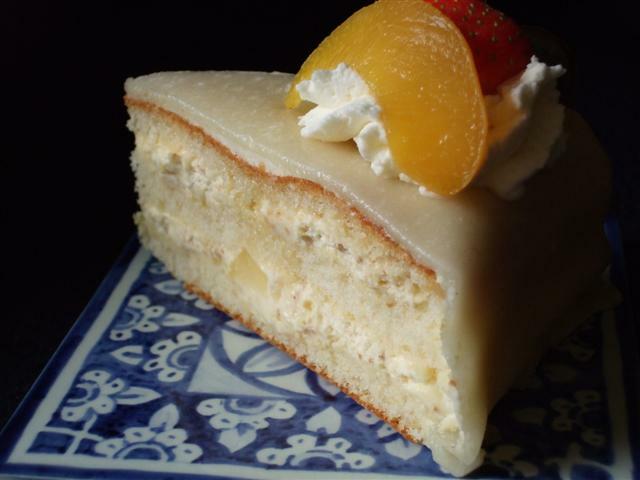 It is recommended to make this pastry cream one day in advance. Next ladle the pieces of bitter macaroons (bitterkoekjes = A bitter biscuit is a biscuit consisting of a mixture of ground bitter almonds, crystal sugar and protein.) drenched in marasquin and some raisins soaked in liquor. 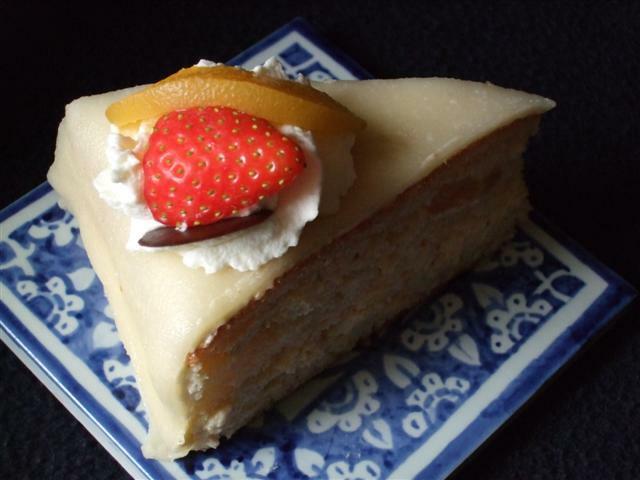 Top cake with a thin layer of marzipan . For a nice colour you could add some pieces of candied/coloured cherries (bigarreaux) and some cut orange peel. 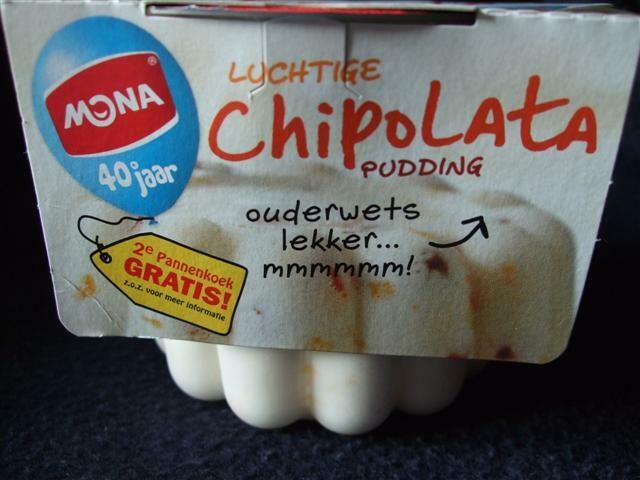 So, next time someone mentions “Chipolata Cake” or Chipolata Pudding” .. or if you make one yourself, let yourself into a lovely Dutch secret and surprise people who might find that “sasuage” pudding might not be what they assumed after all!